Shadow of the Tomb Raider is the third and final installment to the new and reimagined prequel trilogy of the Tomb Raider franchise originally released back in 1996. Following the story of Lara Croft as she uncovers the mysteries surrounding her father’s murder, she accidentally unleashes a Maya Apocalypse in a desperate attempt to keep a dangerous artifact out of the hands of Trinity; a military organization determined to control the fate of the world using ancient and powerful relics. I hadn’t been keeping up with the Tomb Raider franchise, not since my siblings and I successfully locked the butler in the freezer in Tomb Raider II on the PlayStation. So when I started seeing screenshots and watching gameplay videos of Shadow of the Tomb Raider before it’s release, I was rather impressed and very intrigued by just how far the games had come since those days in the Croft manor, running away from the sounds of rattling glass. So with a fresh mind and no experience with the previous two titles, I delved into the third game with no idea what was waiting on the other side for me. The game begins with Lara Croft and her close friend and adventuring companion Jonah Maiava caught in the middle of a dangerous storm that rips their plane in half and sends them flying in two different directions over the jungles of South America. The excitement of this brief opening scene makes you feel like you’re watching an action film, with just enough chaos to leave you wondering what is going on. And just before Lara crashes, the scene ends, and you’re taken back two days before the plane crash and gameplay begins. Almost seamlessly, cutscenes and gameplay blend together, and you’re taught straight away to keep your fingers on the controls or else you might risk Lara’s immediate death. Whether it be spamming a button to fight off a vicious giant eel or getting Lara to wiggle her way through the suffocatingly cramped spaces of a cave-in; this game will certainly you on your toes. A calm and peaceful cutscene can easily escalate into action packed gameplay, and before you know it you’re being swallowed up in the powerful waves of a tsunami with very little indication that you’re suddenly in control. One of the things I enjoyed the most about the game was the exploration portion. While it’s not an open sandbox title, it never felt entirely railroaded and gives players the option to take a break from saving the world. 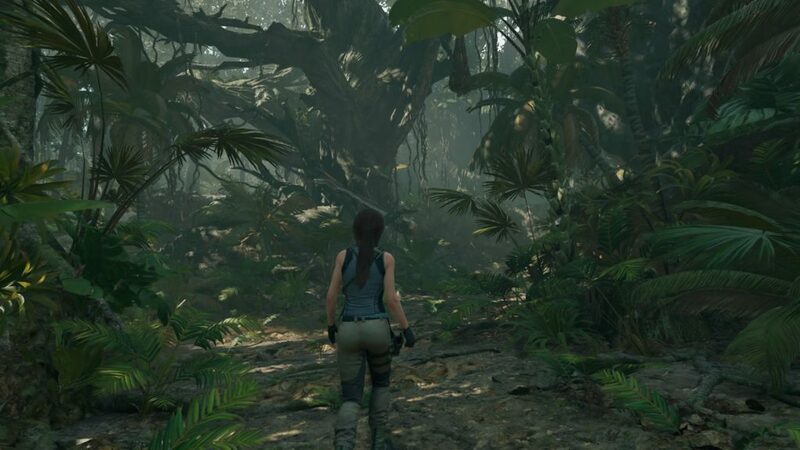 A lot of areas were large enough to cement that feeling of being lost in a jungle, but always had a way to pull you back to keep you focused on the story for a little while. Each zone comes with hidden optional tombs to explore for artifacts, armor recipes and items used in crafting as a means of rewarding players for going off the beaten path. And some of these tombs will have areas unreachable until items and skills you unlock later in the game are obtained, which add something new to discover in places you’ve already visited. These optional tombs can be quite addicting if you’re a fan of puzzles, and I am honestly glad there isn’t a penalty for taking too long on the main storyline. I am sure the apocalypse would have happened ten times over with how quickly I left NPCs in the clutches of Trinity because I found new ruins to crawl through. Early on you learn quite quickly that you can’t run willy-nilly through an ancient tomb and expect to escape unscathed. While you can expect the same kinds of traps to appear, such as a false floor or a weak ledge, you are never quite sure when or where they will happen. 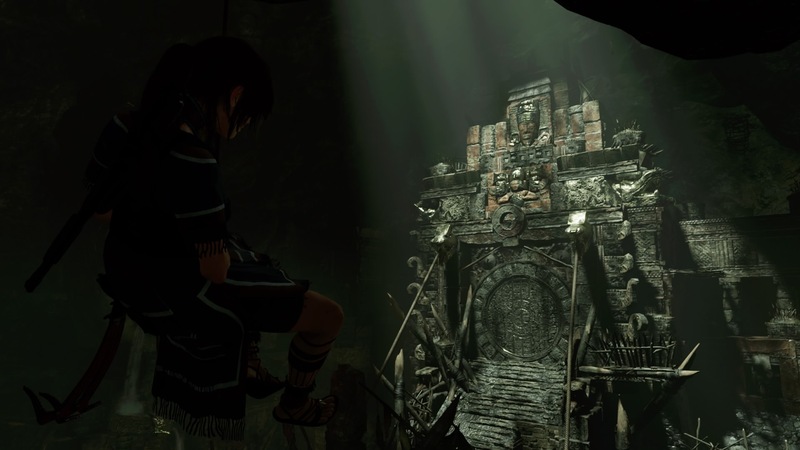 The way in which traps, and even puzzles, are presented can vary from tomb to tomb. Some of them might not have a single trap, others might have them right around a corner just out of view until a second too late. 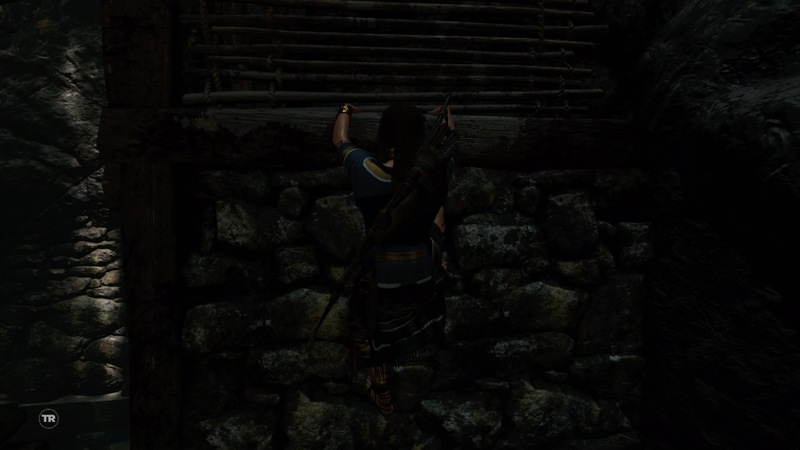 Sometimes it might just be bats that spook Lara into losing her grip, other times it might be a tunnel collapsing. These chance encounters with danger will cause you to slow down on occasion, to stop and observe your surroundings to not only consider your options and how best to proceed, but to also take the moment to look at all the gorgeous, and often spooky, scenery. Exploration has its own difficulty setting, giving players the ability to decide the style of exploration gameplay they want. Choosing an easy or normal setting will add white paint to climbable walls and ledges, making them easier to spot and resulting in puzzles going by much quicker. Setting the difficulty to hard will get rid of the white paint entirely, adding a new level of challenge as a lot of climbable objects blend in rather well with their surroundings, and can become even harder to spot during moments of crisis when you only have a small window to react and not much time to think. Puzzles and combat also have their own separate difficulty settings, and can be all set to the same level of difficulty or changed individually for unique experiences. Setting the puzzle difficulty to hard gets rid of Lara’s occasional hints and renders Survival Instinct useless for puzzles, while combat difficulty makes it harder to find ammunition, health regeneration is turned off in combat and enemies do more damage. There is also a Deadly Obsession setting for those just looking for a pure survival game with lots of danger to dance with. I thought the addition of various difficulty settings was incredibly genius to give everyone a chance to play the game however they see fit, making it accessible for a lot of play styles. 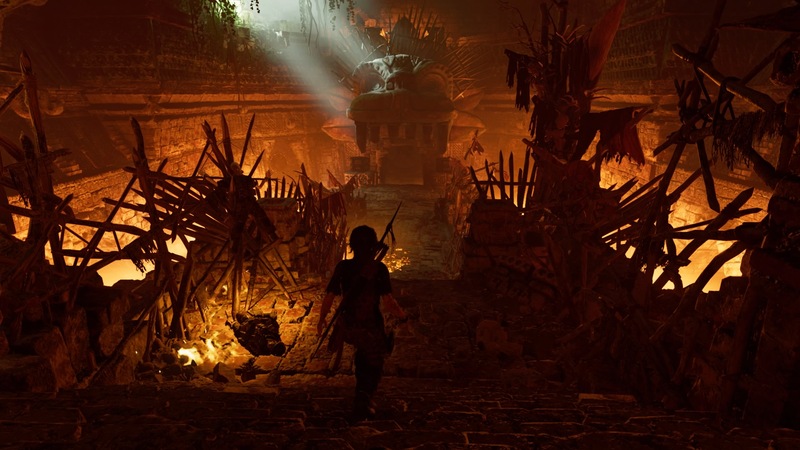 Despite being an action-adventure title, Shadow of the Tomb Raider does have some RPG elements. You can craft and customize Lara’s outfits–which she can actually wear–and weapons, which add their own bonuses to skills like stealth, hunting and combat. 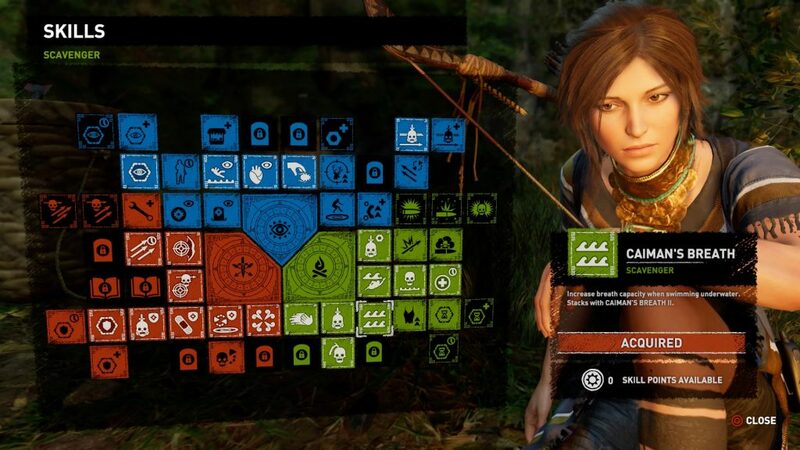 There is also a leveling system that, with each level gained, grants you points that can be used to unlock abilities that can aid in combat, exploration, hunting and more. Experience points can be earned by doing just about anything practically, though some tasks yield more EXP than others. Crafting weapons and clothing is relatively simple, it’s merely a matter of holding down a trigger button on certain menus until the craft is completed. Armor and weapon upgrades can only be crafted at campfires, while arrows and other consumable items can be crafted anywhere. 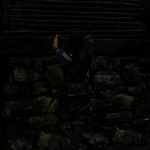 The ingredients required to craft can be gathered through a variety of means, like forging or looting items scattered throughout jungles and tombs. The menus themselves are clean and easy to navigate, they don’t slow down gameplay much at all and add a bit more depth of flavor to the survival aspect. 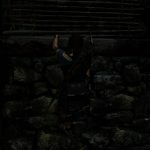 I liked the idea of crafting my own arrows instead of visiting a shop every time I got low, and gathering the items to make them wasn’t too much of a hassle if you stockpile wood and stone early on. The combat was where I struggled most with the game. There is no noticeable cover system, and things can get disorienting when trying to pop out from some means of cover only to have your vision blocked on occasion by a wall or pillar, especially if you’re trying to lean to the left for a peek-and-shoot. Players who are used to other third-person shooter titles may find combat to be a little jarring in this regard, and it takes a bit of adjusting to not immediately run for cover, hoping you’ll stick close to it, only to find out you’re just really ducking behind a box and that’s the extent of it. I also found that the default setting for the aiming sensitivity on PlayStation 4 was a little slow during enemy rush encounters, and recommend players take some time to adjust that setting to suit their reaction times. I did find that the stealth combat portion was a little more defined and fun to participate in than active combat. Sneaking through tall grass and covering yourself with mud to spring a surprise attack on your foes is quite exciting. 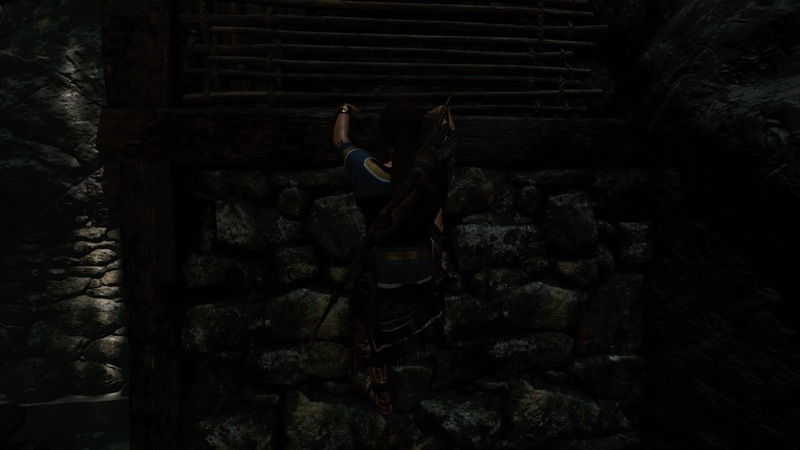 Crafting molotov cocktails or makeshift smoke grenades make for fun distractions to sneak over and stab a guard in the back while all his comrades are trying to put a fire out. Trying to take guards out without being seen is like a puzzle in of itself, and can be extremely challenging as timed attacks and perfect positioning are key to ensuring no one notices you and spoils your stealthy plans! The graphics themselves are quite lovely and the game does not hold back showing off the beautiful and awe-striking jungles, mountains and lakes of South America. The Peruvian Jungle was so dense with plant life that it makes you feel like you’re truly lost with no sense of direction. There are moments where the game almost pauses in a picturesque way, giving you the moment to fully absorb the incredible landscapes before traversing their dangerous pathways. The game also utilizes motion capture for its animations and I was very impressed seeing how characters moved and breathed. The subtle animations like twitching and flexing muscles and flicking eye movements only added to the idea that this game was a playable action-adventure film, and was equally fun to watch as it was to play. While I won’t spoil anything, I will say that at times I felt a little bit of a disconnect with the overall story. Having not played the first two titles in this rebooted series, there was a history there that I couldn’t fully understand, even with the cleverly designed codex–Lara’s photo album–summarizing Lara and Jonah’s friendship and their past experiences with Trinity. It felt like I was missing something, and I certainly was. So even though it’s not a requirement to play the first two installments, if you’re interested in the story, I highly recommend you start from the beginning. That way you’ll have a better understanding of Lara and Jonah’s friendship, their shared dislike for the Order of Trinity and to feel a better connection to Lara’s character development overall. As my introduction to this new series, my first impressions on this revision of Lara Croft was a good one. She’s a strong individual, but has her moments of weakness. She is afraid of opening up too much to the people around her, and feels as though the weight of the world rests on her shoulders alone. Her determination to carry that weight blinds her often to the helping hand of others, and gets her into a lot of trouble. I enjoyed her characterization and how more humanized she felt in this iteration, from her excitement when uncovering new artifacts, to the curses yelped when traps are set off. 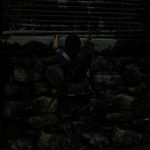 Overall I thoroughly enjoyed my experience with Shadow of the Tomb Raider. 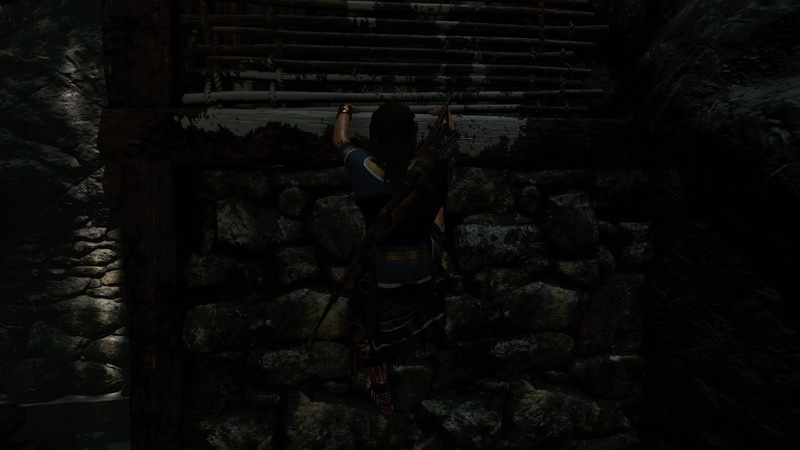 The sense of adventure that awaited in every tomb was very exciting, I loved uncovering new puzzles on accident while searching new zones and climbing to dangerous heights to get a better view. I loved the addition of a “Selfie mode” that allowed for me to take photos of the beautiful landscapes I explored, and the amount of screaming I did when the game surprised me or I failed to stick a landing, which was very often. I look forward to going back to the previous two titles to get a full understanding of Lara’s story, and because I really like the climbing feature. 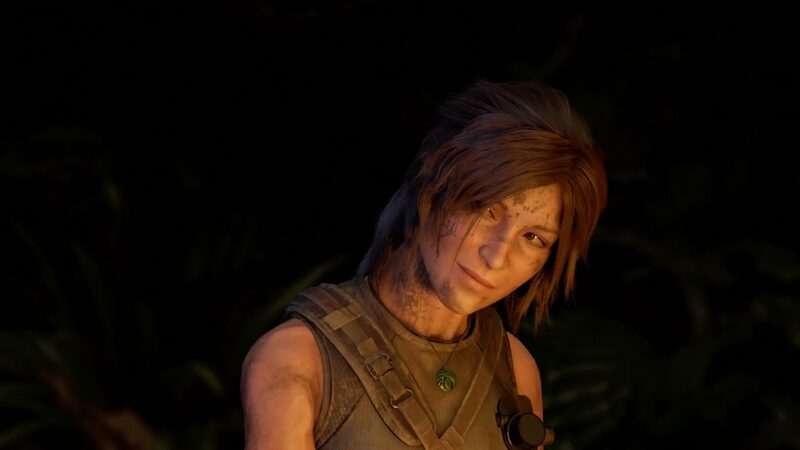 So if you’re looking for a nice little adventure-survival title with some puzzles to solve, rocks to climb and traps to avoid, Shadow of the Tomb Raider may be worth looking into, with a story experience that might be better if the first two installments are played through first. And for those of you who have played the previous games, these may be familiar stomping grounds for you, and you may have a different experience than that of this first timer. Shadow of the Tomb Raider is available now on PlayStation 4, Xbox One and PC for $59.99. 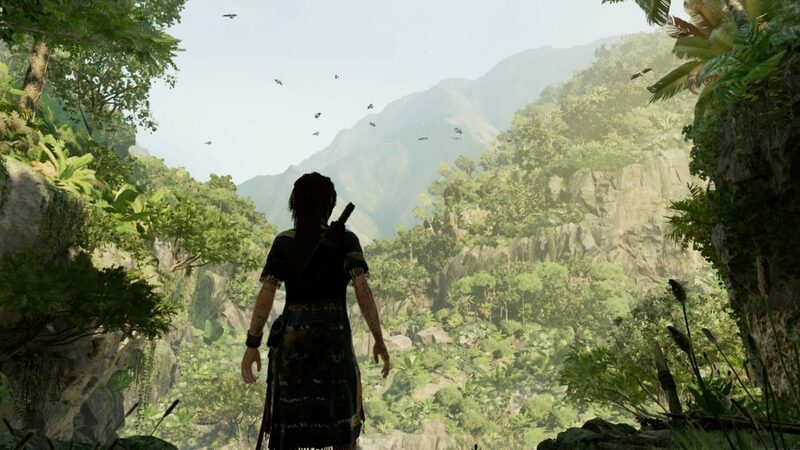 Disclaimer: A review copy of Shadow of the Tomb Raider (PS4) was provided to Nova Crystallis by Square Enix, the publisher. Posted in Headlines, Reviews, Tomb Raider.